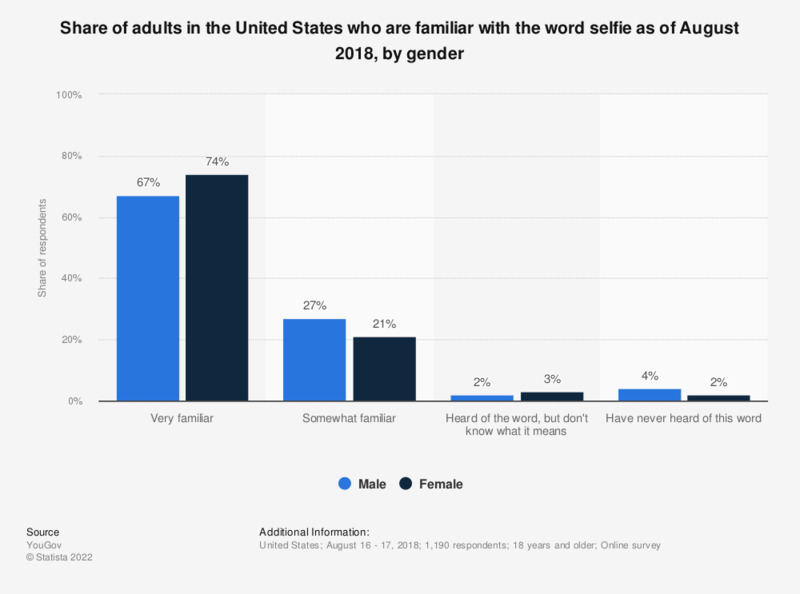 This statistic shows the percentage of U.S. adults who are familiar with the word selfie as of August 2018, broken down by gender. According to the survey, 67 percent of male respondents stated to be very familiar with the term, while the same was true for 74 percent of responding women. Original question: Before taking this survey, how familiar were you with the word "selfie"?